The origin of a startup is an entrepreneur’s belief that a particular market needs a shakeup. En route to that shakeup, entrepreneurs tread a well-worn path that includes picking the products they will offer, such as goods, services, ideas and information, and setting the prices for those offerings. Pick the right pricing model and revenue soars, but set the wrong prices and companies will hear from consumers in the form of demand spikes that become a distant memory or unfulfilled dreams of revenue growth. For entrepreneurs, product pricing is a game that’s chock-full of trade-offs. For instance, set low prices and sales may rise, but profits will decline and that can mean a company will lack the funds it needs to replenish its inventory. As evidenced by this example, there is no one-price-fits all product pricing model. 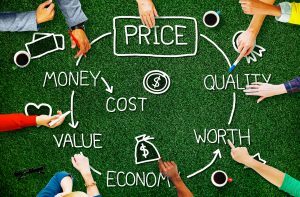 Instead, an entrepreneur must make do with a satisficing approach to price setting … namely, select the price that’s most likely to achieve your business goals and that consumers will consider acceptable or reasonable. Here are nine pricing models to consider. A company might calculate the price of a product that’s sold through a standard distribution channel on the basis of its cost plus some percentage of that cost. For instance, full cost pricing considers a product’s variable and fixed costs, as well as a percentage markup. 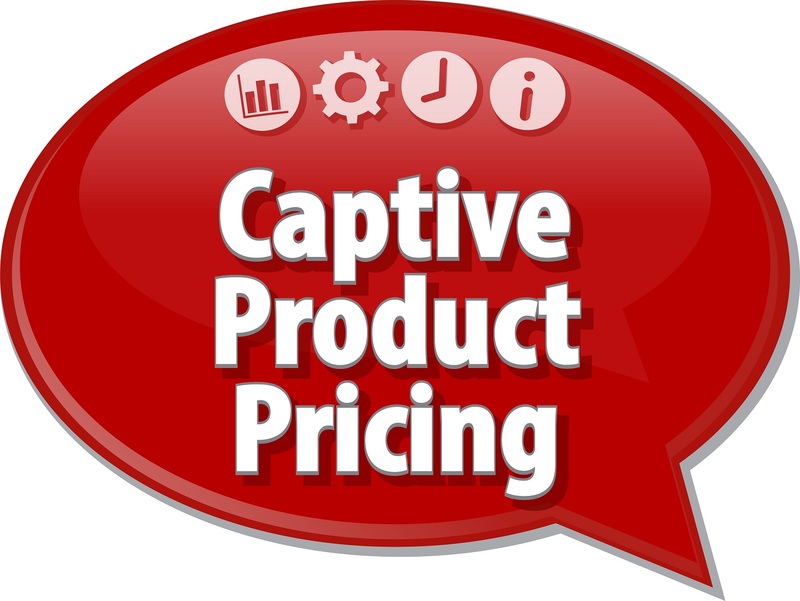 In turn, direct cost pricing is based on a product’s variable costs plus a percentage markup. Whereas a consumer product price might be two to five times its product cost, the margin for a commodity is typically less. A buyer might purchase a custom solution that consists of a number of products and services, each of which represents a particular value to the customer. You may price each product the same regardless of the product’s position in the market. Alternatively, you may price each product based on its own characteristics. For instance, a company may use a different pricing strategy for each product in the portfolio and set different gross profit expectations for each product. In either case, the customer pays the sum total of each product’s price. By offering the customer a product portfolio, your customer benefits from a customized solution and your company earns more revenue per transaction. Some companies price a product based on the quantity the customer purchases. For instance, a customer might receive a 10 percent discount if he purchases 50 or more units, a 15 percent discount for the purchase of 100 units or more and a 20 percent discount if the purchase order is written for 500 or more units. This pricing model is often used for apparel, some consumer products and services in combination with a punch card. In this case, the buyer will receive a 15 percent discount for each unit if the purchase order is written for 499 units. If the purchase order is for 600 units, the buyer will receive a 20 percent discount per unit for each unit purchased. A contract between a distributor and a wholesaler may be on a tiered pricing basis. In this case, each tier has a volume target and a discount based on hitting the volume target. For instance, a purchaser might pay $10 per unit for a purchase of up to 50,000 units during a current quarter and $9 per unit for every item beyond the first 50,000. If the purchase order is for an amount greater than a certain number of units, say 50,001 units, the price is $10 per unit for the first 50,000 units and $9 per unit for the one unit purchased after the first 50,000 units. A tiered discount is based on units sold or revenue dollars earned. 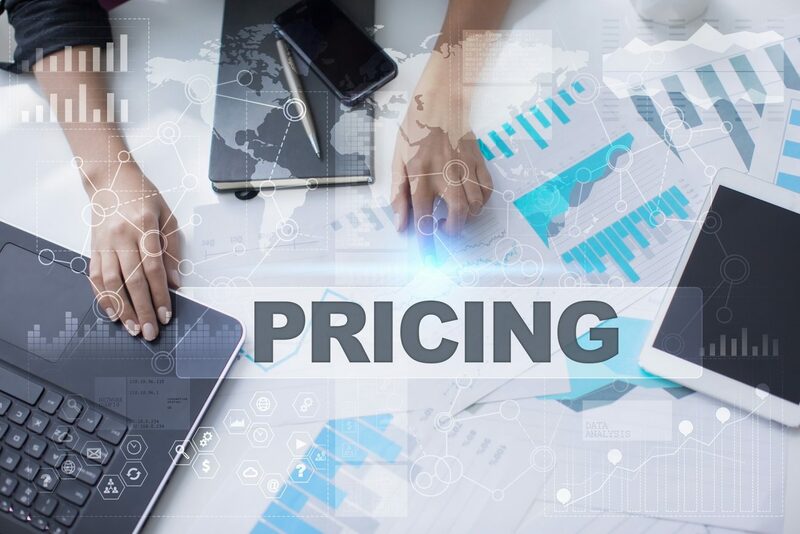 Market pricing is part of a sales-growth strategy when a company believes that a single product line will appeal to all the prospective customers in a market. Using this pricing model, a company more or less ignores market segment differences by selling minimally differentiated products, using multiple distribution channels. 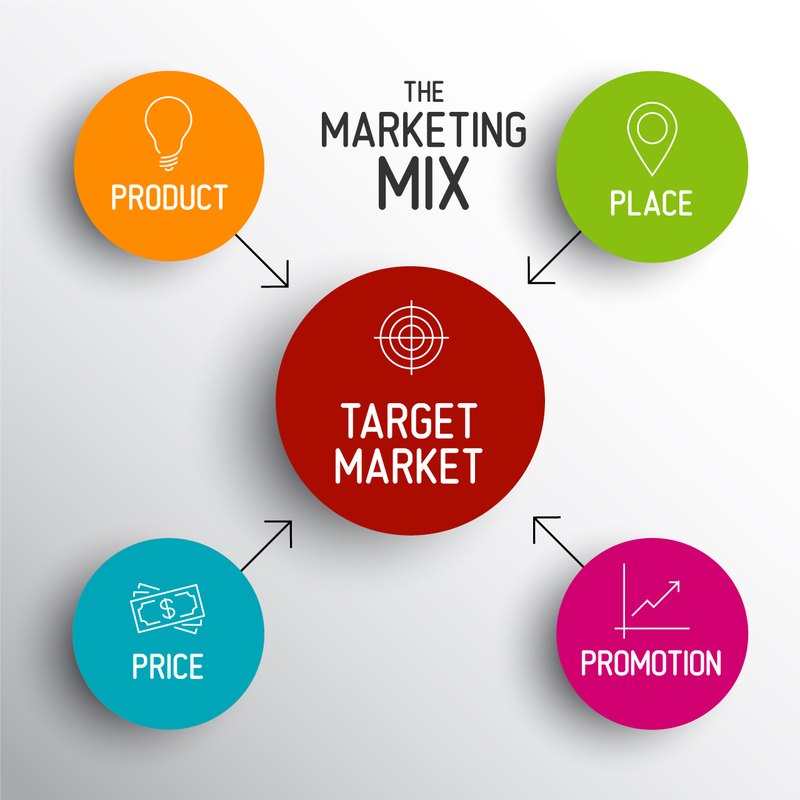 Some market prices for minimally differentiated products are set by supply and demand so each competitor is aware of the prices set by all other market participants. For instance, online stores often employ a market pricing model. Of these stores, the ones with particularly strong reputations or that offer very desirable services, such as fast delivery or a liberal return policy, might earn a slight premium. Still other companies in the market may attempt to compete by being the low-cost provider. To benefit from a value pricing model, you price your product relative to its value to the customer. The value might be an opportunity for the customer to save money by owning the product. For instance, a customer might save money by purchasing one software product rather than another because the installation, maintenance and upgrade costs of the first are much lower than that of the second option. Alternatively, you might price a new drug at a price higher than that of an alternative drug because the patients administered the new drug suffer fewer side effects and recover quicker than those who are treated with the alternative drug. Some service companies that employ this pricing model use free products as a marketing tool. For instance, open source software is a product that a user can download at no cost. But to receive product support, such as maintenance, customization, training or consulting services, the customer pays a subscription fee. Companies that implement this pricing model include smartphone app developers and internet startups. A user acquires software with basic features at no cost, but to access additional functionality, he must pay a subscription fee. Companies that rely on this pricing model include Hulu, LinkedIn and Match. The benefit of the pricing model is the company can scale up and attract customers without the expense of ad campaigns or a sales force. Using the razor and blade pricing model, an entrepreneur sells one product (the razor) at a rather low price and a complementary product (the blade) that is purchased on a repeated basis at comparatively high price. For instance, a company may sell a video game console at a somewhat low price and the video games at a fairly high price. Similarly, a printer manufacturer might set a printer’s price rather low, but set cartridge prices relatively high. Entrepreneurs may stay awake at night to decide on an optimal pricing model for their product or service. Is it practical to mirror Twitter’s strategy, which is to begin by giving away the service and identifying a worthwhile price model later? 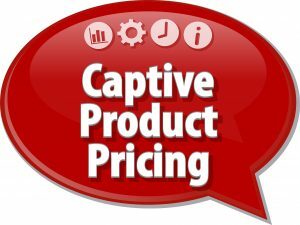 Or is it appropriate to price a product at a multiple of its cost, rather than charge the premium price that your chosen market will bear? The decision is a worrisome one because the pricing model reflects on your brand image and affects your company’s market position, as well as your cash requirements. Selecting one of these nine pricing models will help you solve your entrepreneurial puzzle. But selecting the right one is a key to your company’s financial results.